Small business tools company Davo has launched two new apps to help small-to-medium-sized businesses (SMBs) with their cash management needs, reports Julie Muhn at Finovate (FinTech Futures’ sister company). The apps, called Davo Sweep & Save and Davo Savings Club, are automated savings tools that use fractional daily funding technology, which connects to a merchant’s point of sale (POS) platform or accounting software to set aside cash to save for a future use. This automated savings technology is a similar concept to the consumer-facing apps Dyme and Digit, which move money from a user’s checking account into a separate savings account. Davo Sweep & Save returns the saved amount to the merchant on a monthly basis to go toward expenses such as rent, business loans, or equipment leases, while Davo Savings Club sets aside the cash on an annual basis. Davo notes that the annual funds are intended for “an ongoing cookie jar or Christmas Club like savings”. With both Sweep & Save and Savings Club, merchants opt to either set aside a fixed dollar amount or percentage of daily sales to go toward the savings. 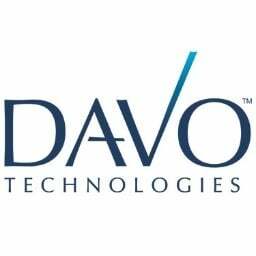 Similar to the two savings apps launched, the firm also offers Davo Sales Tax. Last October, Davo made the Sales Tax app available in the Square Marketplace.